Spring is in full bloom in my corner of the world; it is impossible not to notice the explosion of plant life all around. In the city, pink blossoms burst forth from ornamental cherries, enjoying brief moments of glory before cascading down as a silent snow of soft petals. In the suburbs, neighbourhood lawns and gardens are enlivened by vivid hues of yellows and violets from blooming daffodils and tulips. On nearby trails, star-shaped flowers from salmonberry bushes dot the flush of new growth, fuchsia markers intended to attract the eyes of hungry pollinators. In my small container garden, dainty green tendrils of scallions and sweet peas reach ever upwards, while planted pieces of potatoes seem content for the moment to slumber in the dark black soil. 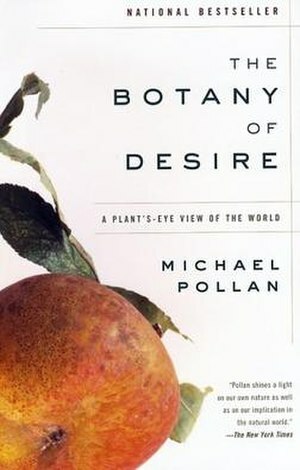 Perhaps it is this invigoration of growth that compelled me to reread Michael Pollan’s book, The Botany of Desire. Pollan’s work has played a significant role in my personal perceptions of the connections between nature and culture. Although he does on occasion go overboard with his metaphors, he has an uncanny gift for transforming mundane observations into intriguing insights that are grounded in science, history, folk-lore, and philosophy. His knack for storytelling has pushed me, on more than one occasion, to make unforeseen connections and to come away from his works to view the world a little differently. One of his earlier bonafide successes, Botany explores the relationship between humans and the natural world from a unique angle: It asks the reader to consider the world from the plant’s point of view. Through the exploration of a common fruit, flower, drug plant, and staple food, Botany stitches seemingly disparate ideas from social and natural history into absorbing tales about humanity’s eternal dance with the natural world. Each chapter of Botany of Desire looks at a specific plant through the lens of a particular human desire. The apple’s colonization of the American frontier and its rise to prominence in modern times is inextricably linked to our innate craving for sweetness. For the tulip, Pollan traces the impact of the flower’s beauty from the ancient days of the Ottoman Empire to the 16th Century Calvinist nation of Holland and to his own present-day garden. Cannabis is examined through our species’ eternal obsession with intoxication and altered states of consciousness. Lastly, Pollan explores the fascinating history of the potato through humanity’s eternal struggle to gain control and mastery over our own fates. How often do we actually take the time to view the world from a non-human perspective? Pollan himself drew inspiration from David Attenborough’s PBS series: The Private Life of Plants (p.247); its time-lapse photography made him realize that plants are actually dynamic organisms that constantly respond and react to their surrounding environments. They simply operate on a different timescale than we do. Pollan also points to how our language can further colour our perception of plants. English forces us to segregate reality into objects and subjects. By viewing ourselves as subjects in relation to our surroundings, the reciprocal nature of our relationship with the living world is glossed over. As we domesticate a plant, language does a poor job in conveying we are also influenced ourselves. Botany turns the notion of domestication on its head, describing how these four plants have become evolutionary superstars by “manipulating” us to do their bidding. The apple appealed to our sweet tooth; in return, its progenies were transported from the forests of Kazakhstan to flourish in the New World. The beauty of the tulip helped the plant achieve genetic immortality by tapping into our appreciation for vivid colours and assertive forms. The cannabis plant created under selective pressures from the war on drugs has become wildly successful, having its every need catered tended to in exchange for producing prodigious amounts of mind-altering THC. Finally, the humble potato ensured its continued success through its development of lumpy and nutritious tubers, making itself an indispensable crop for nations across the globe. Perhaps it is enough to state that these arrangements have simply been mutually beneficial for both parties. Pollan seems to follow this road, writing that “the give-and-take between human desire and the universe of plant possibility” takes two, “but it doesn’t take intention, or consciousness” (p. 244). The fact is these species have thrown in their lot with us by being amenable to the process of domestication also means that our collective evolutionary fates are now intertwined. They are now as dependent on us as we are reliant on them. Plants are so unlike people that it’s very difficult for us to appreciate fully their complexity and sophistication. Yet plants have been evolving much, much longer than we have, have been inventing new strategies for survival and perfecting their designs for so long that to say that one of us is the more “advanced” really depends on how you define that term, on what “advances” you value. Naturally we value abilities such as consciousness, toolmaking, and language, if only because these have been the destinations of our own evolutionary journey thus far. Plants have traveled all that distance and then some – they’ve just traveled in a different direction. As Pollan writes, while we evolved for intelligence and self-awareness, plants have become master biochemists, developing bizarre metabolic pathways for producing complex secondary chemicals that help them deal with everyday survival. The plants we share this worth with today are no less evolved than we are – they simply evolved with different priorities. This startlingly simple fact is a humbling and necessary touchstone if we are to develop a healthier and more balanced relationship with the living world. Of good and evil: The apple went from an evil temptation in the Garden of Eden to a great tool for “civilizing” the American wilderness. It then became the symbol of rampant alcoholism for the temperance movement, before reemerging as a wholesome product associated with health in recent times. 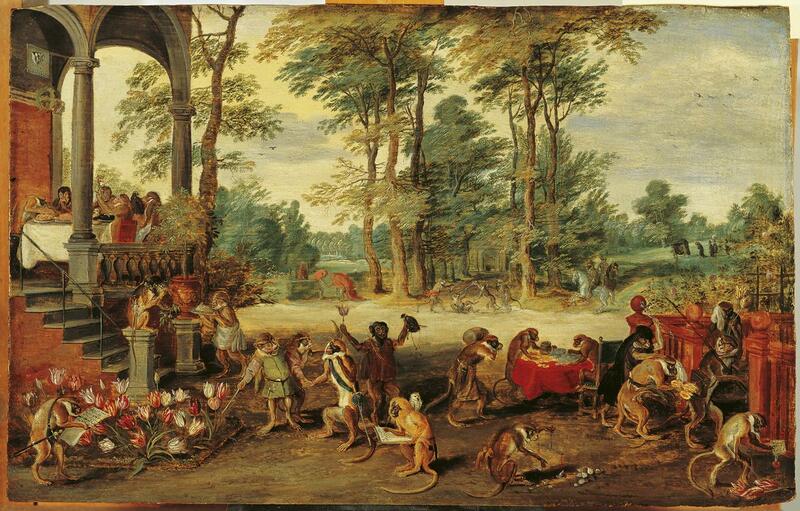 The changing views of beauty: The colour breaks that caused 16th century Holland to value tulip bulbs on par with gold are considered undesirable ever since science discovered that the coloration was caused by a viral infection. From oracles to criminals: Cannabis was utilized by seers, prophets and artists in many cultures and traditional medicine until the war on drugs and shifting cultural expectations deemed it unacceptable for society. Craving comfort in conformity: The comfort derived from the uniformity of a long golden french fry incentivized the cultivation of one specific type of potato over all others, leading to the creation of vast monocultures that require high levels of human intervention and control. Each of the tales in Botany speaks to the extent that we are willing to go in order to gratify our desires. It also shows the consequences of going too far. As we breed for ever-increasing levels of sweetness in the apple, the fruit has become saccharine, bland, and forgettable. An unchecked lust for the beauty of the tulip in the case of both the Sultan of the Ottoman empire and the 16th century Dutch led to eventual personal madness and financial ruin. An overreliance on the intoxicating effects of cannabis can lead to a overindulgence in the present. The need for controlling the potato has led to a brittle agribusiness model built upon maximizing efficiency without regard for individual farmers, the community, and the environment. For me, these stories all speak to the hazards of losing balance, perspective, and diversity in the singular pursuit for desire. This book tells a different kind of story about Man and Nature, one that aims to put us back in the great reciprocal web that is life on Earth. My hope is that by the time you close its covers, things outside (and inside) will look a little different, so that when you see an apple tree across a road or a tulip across a table, it won’t appear quite so alien, so Other. Seeing these plants instead as willing partners in an intimate and reciprocal relationship with us means looking at ourselves a little differently, too: as the objects of other species’ designs and desires, as one of the newer bees in Darwin’s garden – ingenious, sometimes reckless, and remarkably unselfconscious. I’m thinking specifically of the way he rigged up his canoe that day, the two hulls side by side, so that the weight of the apple seeds balanced the weight of the man, each helping to keep the other steady on the river. Laughable as an example of naval architecture, perhaps, but sea-worthy, surely, as a metaphor. Chapman’s craft, his example, invites us to imagine a very different kind of story about Man and Nature, one that shrinks the distance between the two, so that we might again begin to see them for what they are and in spite of everything will always be, which is in this boat together. Next Up: Life from the perspective of an Oak. Pollan, Michael (2001). The Botany of Desire: A Plant’s-Eye View of the World. New York: Random House. Thank you for another wonderful post Isaac! I love reading Michael Pollan – his writing style and the way he structures his narrative constantly remind you how entwined with Nature we are. Yes, I enjoy his ability to bring ideas from different disciplines into his stories. Like I said, I really enjoy his prose, but sometimes he can get a little carried away haha. I watched the PBS version of “Botany…” before I knew there was a book and immensely enjoyed the show. The notion that we are in any way being shaped by the life around us is still a relatively new idea for most people. I liked the Seinfeld anecdote and have wondered similarly…how would aliens view the hierarchy on our planet? In terms of sustainability, I tend to side with the simple. Being overly complex is not necessarily an advantage. Our aliens would also see a world filled with and regulated by bacteria and viruses. I watched the PBS version recently, and it was a really good complement to the book, reinforcing the idea that nature shapes culture and vice versa. I always find it incredible that our bodies are nine-tenths bacterial cells and one-tenth human. Maybe aliens will see us as walking talking microbial ecosystems. First, I have to smile that the author’s name is Michael Pollan since I of course think of pollen. I’ll look for this book and the PBS series. Great post. Hehe never thought of the Pollan/pollen connection.